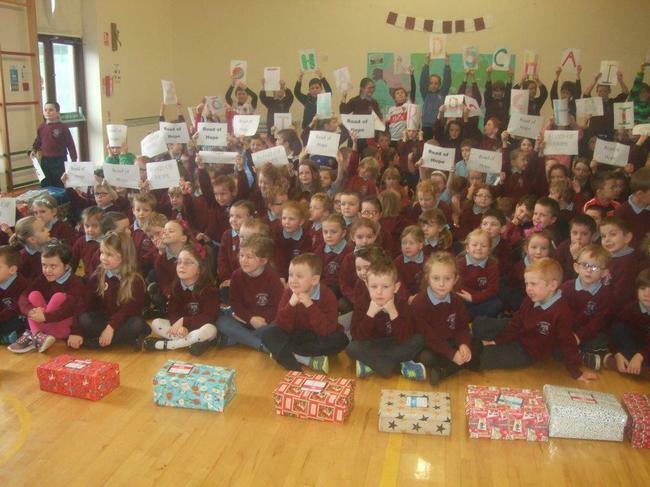 138 beautifully wrapped shoeboxes were collected from the school. 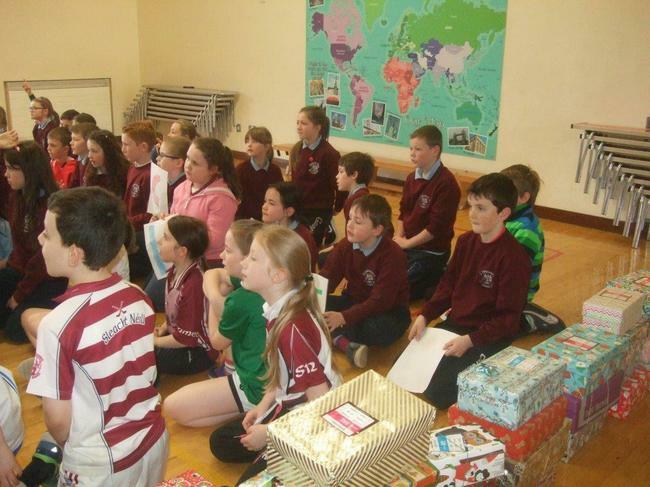 Buíochas ó chroí le gach duine a thacaigh le hAchainí Bosca Bróg Shlí an Dóchais. 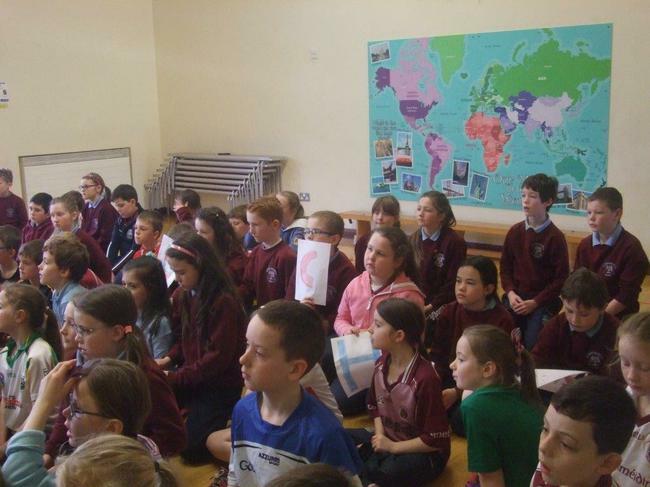 B'iontach mar a freagraíodh di le boscaí iontacha ag dul chuig go leor páistí agus daoine óga atá ar an ghannchuid. 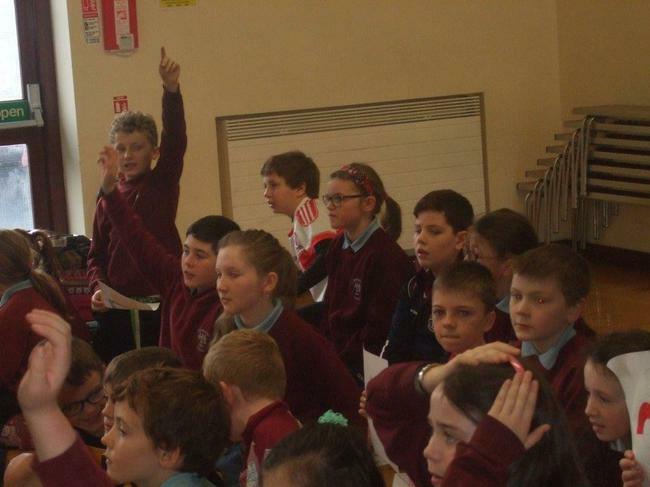 Bhí lúcháir mhór ar Fiona Kelly ó Charthanas Shlí an Dóchais nuair a tugadh na boscaí di agus chuir sí a buíochas in iúl do na daltaí uilig agus dá dtuismitheoirí. 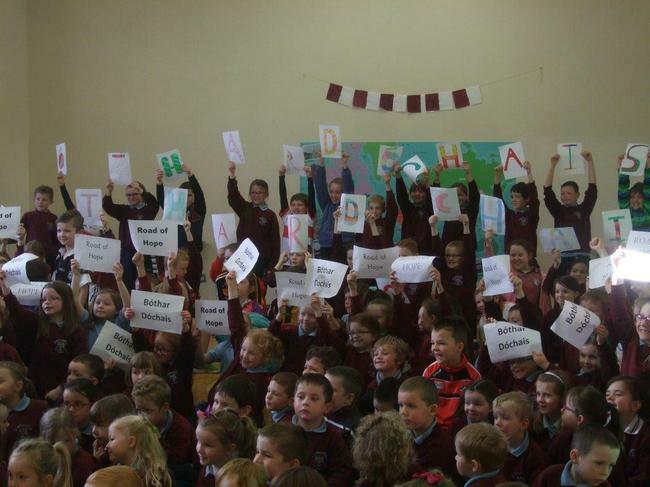 Beidh tuilleadh pictiúirí ann ar ball! 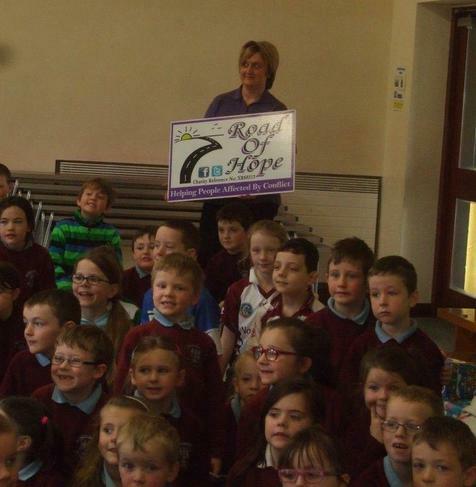 A massive thank-you agus go raibh maith agaibh to everyone who supported the Road of Hope Shoebox Appeal. 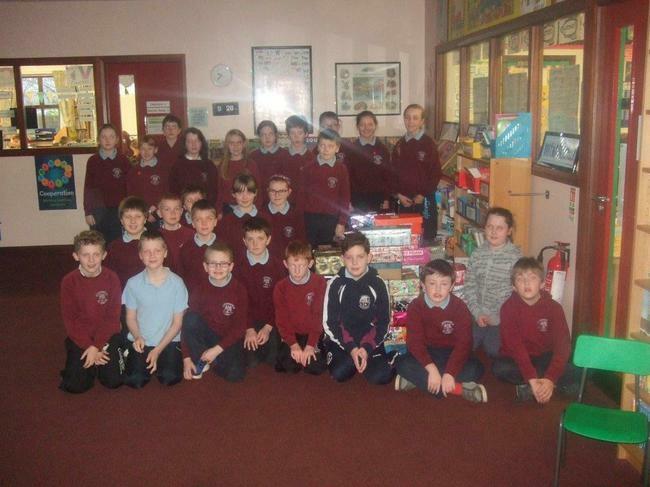 There was a fantastic response with gorgeous boxes going to many children and young people in need. 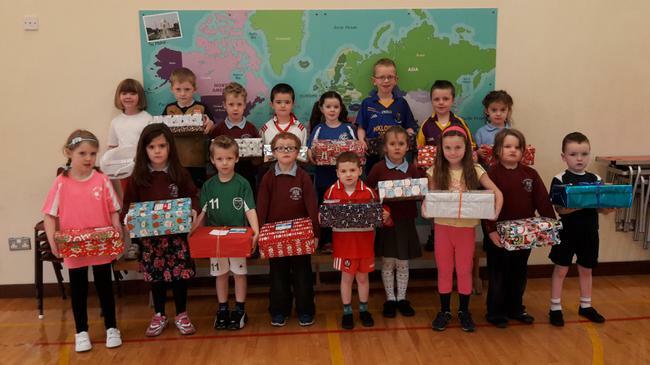 Fiona Kelly from the Road of Hope Charity was delighted to receive the shoeboxes and expressed her sincere appreciation to all the pupils and their parents.